Ready to stop losing money from having too much clutter? Please contact me for a free consultation phone call. Happy autumn from Waco, TX! ​So are you ready to get started on YOU? Please contact me for a free consultation phone call. "Since Holly came, we have cleared out our house. We have downsized that one specific room and have sold things quicker. We took different tips from Holly such as different spouses having our own work-spaces. Doing things like this has allowed us to not feel like pack-rats or hoarders anymore, but to have a more peaceful environment which is really a reflection of our marriage as we are maintaining the peace there. Thank you Holly!" ​We’ll talk in the future about strategies for the husband who is happy to have you hire an organizer, but just isn’t ready to be part of the process. Are you ready to get started on YOU? Please contact me for a free consultation phone call. Happy New Year! Who is ready to start fresh in the spaces that you walk in every.single.day? For moms that is often your closet, pantry, laundry room, and wherever you stash your papers. Good news, we will be equipping you with some tips and tools to manage these spaces. First up is your closet. Does it make you happy or stress you out to walk in there? Here are some basic tips for creating a wardrobe that works for you. Be real with yourself about what you feel (and look) good in. Get okay with passing along stuff that doesn't work for you (you don't wear it). Just tell yourself what my mom and I often say, "Well that was a good idea at the time!" And then let it go. Okay - now for a few capsule wardrobe basics. Have at least 5-10 tops that you can wear with a combo of accessories, cardigans, and scarves. Pick 2-4 pair of pants that you always reach for... the ones your booty feels comfy in and you don't have to squeeze too hard to get into them. Narrow your accessories to the ones that you wear at least once per year. That's a broad range, but we all know there's that one necklace we wear to fancy weddings and nowhere else. ONLY keep shoes that are comfortable. If you must keep uncomfy shoes, have a very specific place you wear them and an outfit you wear them with... somewhere you can sit most of the time like a symphony, or somewhere that is a rare and fancy occasion. Other than that, give yourself permission to donate the shoes that *you thought were a good idea at the time* but just aren't doing it for you. Start with these tips and let us know how it goes. For the month of January, Waco Home Organizers has a special in-home closet clean-out offer where we help you with these things AND load your excess up to donate it for you - some say that's worth the price of admission alone! Limited sessions available, sign up here. Join us during the first week of December as we share ways to simplify your holidays in style with Waco Home Organizers. 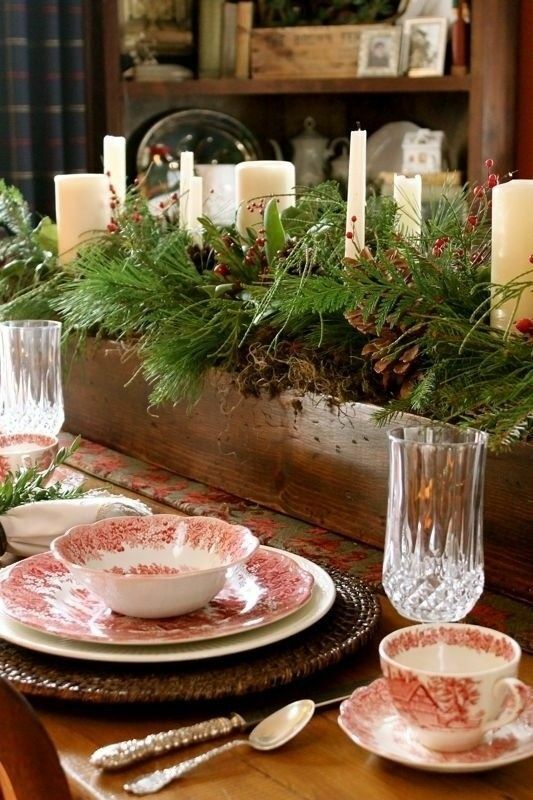 ...this post brought to you by Baylor interior design student and Waco Home Organizers team member, Jessica Tomchesson... enjoy these fabulous tips for creating a simple, yet magical holiday tablescape! Your grandmother’s polished silver or her prized china set can bring a heartwarming feeling to your table guests, even if you're leaning towards a more contemporary theme. Mix the china with a pop of color or pair the silverware with a bold patterned napkin. Your guests will already be impressed with your hosting skills after they see your heavenly tablescape; but why stop there? Please guest’s eyes as much as their tummies with a fun decorative holiday dish or drink! Love holiday decorating but dread storing it later? Make your centerpieces items your guests can eat or take home. Every holiday shopper loves raiding the aisles of Target for holiday décor, but where does all of it go after New Years Day? The attic! This year make your centerpieces a take home gift for your friends and family, whether it is Christmas candy or a holiday candle wrapped inside. Another idea is to make your centerpiece full of edible treats that will be gone by the end of dinner! Decorative place cards are a simple way to make your guests feel special right off the bat! ​Place cards can be as complex and beautiful as you would like them to be! However, this is a simple way to organize people around the table, and enjoy mixing it up with new arrangements each year to connect well with one another. Invest in neutral place settings you can use year round! ​White, gray, and black table top items can easily be accented with a Christmas tree or a pumpkin to show holiday spirit, without having to buy and store a different set for every holiday gathering. Enjoy the fabulous locally made pottery by Black Oak at Gather Waco... black and white favorites..
Make table setting a family tradition! Let your nieces, nephews, grandkids, and cousins help you decorate your holiday table. It takes more work off your shoulders and might even bring a little laughter and joy to table! Don’t forget the holiday mug! Christmas can’t go on without coffee, hot cocoa, and eggnog! ​This is a perfect way to wind down a fun night with friends and family! After savory and sweet, you can provide your guests with a warm and comforting sip of a Christmas blend. Photo: Shop Target's Christmas Collection here. For many of you this excites and inspires you! For some of you, you love the magic of a tablescape, yet time escapes you to create all the details as you wish. For a helping hand and more personalized tips with a visit from Santa's elves to your very own home, see the Waco Home Organizers “Preparing Your Table,” holiday package. Let us help make your holiday even more peaceful! See all holiday packages here, including Holiday Decorating, Organized Un-Decorating, and making your home Guest Ready! Give us a shout when you're ready to turn the dreaded "holiday decor attic drag out session" into a party with us; we would be honored to help! You've asked, and we've answered. Have you been eye-balling this pantry or this playroom that were recently in Modern Texas Living? Does your mom or husband ask what you want for Christmas and what you'd really love is not more STUFF but some PEACE and HELP at home? You may feel overwhelmed by your ongoing to-do lists and projects as a mom and wife. The value of organization is that it saves you time and money in the long run and sets you up for the peaceful and stress-free life you want to be living as a woman. We invite you to submit your wish list and let us do the hinting for you. That's right, you don't have to say anything to your loved ones, we will contact them for you in a pressure-free way to share with them what you want and how they can get it for you. ​Read on for some FAQs from Baby Boomers about downsizing & getting organized. Then be sure to download a copy of Kathy's book on Amazon and read along with Holly who is reading it right now, too! ​ One thing Waco Home Organizers has in common with Kathy is our love for Baby Boomers and a desire to help them "rightsize" (some say downsize) and live their best life, no matter their age and location (or relocation). As a Certified Professional Organizer, I’m lucky enough to get invited in people’s homes every day to help them live with less clutter, less chaos and less stress. It’s all so overwhelming. Where do I start? One way to start is to begin with something easy. Something you don’t have an emotional attachment to. Something you think you can tackle in one sitting. Start getting your decision-making muscles in shape! What’s something you think for sure you can address easily? If you’re moving to Florida, maybe start with your winter coats, hats, gloves, scarves. If you’re moving to a home that is already furnished, start making a list of the furniture you know won’t go with you. You may also like to start by making a master list, go room by room throughout your house to start to identify categories or spaces that are going to need your attention. This may help you develop a plan, a timeline, some priorities that can help you manage what you’ll focus on between now and when you move. Some of my things I’d like to try and get some money for. How do I do that? Do you know that the things you want to sell are worth money today? Have you done research and know there’s a viable market you can get them to? Do you know how much money you can get for them? Does that amount of money seem worth your time and effort? Do you know where and how to sell items like these? If you want to do it online, do you know how to do that or do you need someone else to do this for you, either for a fee or as a favor? Are the items in good shape, the kind that you’d pay money for today (and therefore you can expect someone else might, too)? Do you have the time to work on this kind of a project, even if it takes a while? If you’re able to say “yes” to these questions, you may be in good shape. If you’ve got a fair amount of “no” answers, then selling may not be realistic or feasible for you. I have a lot of keepsakes, and it’s hard to part with them. How am I supposed to choose what to keep? There’s no doubt that for some people, this is the hardest part of downsizing. Going through the memories and willingly parting with items that remind you of people and moments can be excruciating for some people! But you’re probably going some place with less space and less storage, and when you need to choose between space for things you need and use vs. space for things that hold only sentimental value, it becomes clear that some tough choices must be made. Going through these items can take time. Pace yourself, give yourself time to reconnect with some of the memories, but not so much time that you get lost in your stories and you become more attached to the items, even though you hadn’t laid eyes on them in years! Work with someone who can help keep you focused and make progress, and can help keep you honest with yourself about the difference between something being memorable, and something being important. Not all things that are memorable are important; letting go of the things that aren’t as important is a place to start. Sometimes, it is helpful to ask yourself the question, “What is the role I see this item playing in my future?” Photos of family members may generate a very different answer than the tassel from your high school graduation cap. I don’t know where I’m moving to next yet. How will I know what I need? Well, there are 2 things to think about: Assumptions you can make for sure, and how you think your lifestyle will be different, given those assumptions. What are some assumptions? Well, first, it will probably be smaller, maybe with fewer bedrooms. If that’s the case, you might think about what size beds you’ll have in the future, and what size linens you’ll need for them. If you currently have 3 or 4 different sizes, you can streamline that. Smaller probably also means less wall space, so you can think about the different things you put on the wall now (artwork, televisions, mirrors) to see what you’d choose if you only had half the wall space in the future. Your lifestyle may also shift, for instance, you may not be entertaining as much or for large crowds, or you may not need work-from-home space for work and storage like you do now. How would you review what you owned for those categories if you kneow it was going to be “less”? If you’re less likely to host Thanksgiving in the future, are their entertaining and cooking items you have now that you only really use for Thanksgiving now, that you just wouldn’t ever use again if that holiday weren’t at your place anymore? Start there, and start reviewing those “occasional” items for that lifestyle view. But the best advice I can give is to brainstorm for items: “If I did need this item and I no longer had it, what is the worst thing that will happen?” Could something else you own do what this item does for you now? Can you borrow something to do the job? Could you rent something? Could you replace it easily without having to store the item in your valuable real estate from now until that imaginary day where you might happen to need that thing? I have so much stuff that is still good. Why would I let go of it if it is still useful? As with anything else, you’ll need to think about your future, even if it isn’t totally clear, and imagine what role it may play. Often, I find that things we call “still good” are things we’ve long stopped using even in our current homes, and unless they’re unique, they’re not likely to get more use in the future. Sometimes, they’re items that remind us of who we used to be – our former careers, parenting when our children were younger, hobbies we used to enjoy. Sometimes, they’re items that were intended for a different future – the treadmill we were totally going to use to get healthier, the crockpot we were definitely going use for make-ahead cooking, the keyboard we were going to start playing again… all “someday.” This is an opportunity to reevaluate the priority of the activities that these items represent, and how likely you are to revisit those activities. Just because an item is still good doesn’t mean it has value in your life. And with all the choices you need to make for what remains in your possession for your future, letting go of the items with less value is going to be important! Kathy Vines is a Certified Professional Organizer® and Productivity Specialist and the owner of Clever Girl Organizing®, based just north of Boston. Kathy works with her clients in person and virtually to help them untangle their relationship with their stuff and to create a plan for living more simply and more organized every day. She is a speaker for corporate and community audiences on reclaiming productivity and organization. She is the author of the new book, “Clever Girl’s Guide to Living with Less: Break Free from Your Stuff Even When Your Head and Heart Get in the Way,” available in print and Kindle on Amazon.